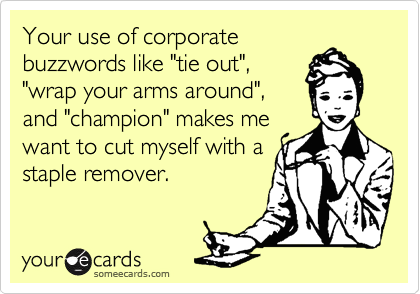 We all know (but not all of us despise) that buzzwords are abound all around us. Especially in the business world, it seems one cannot do a thing without stepping into a leadership (think Dilbert). Annoyingly, we understand less and less of what people say and have to hear more and more. The information flow is diluted, the quality of the information exchange is lowered, the time is wasted.